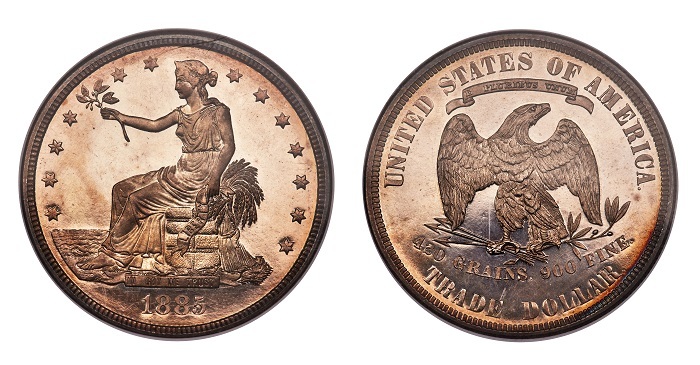 Dallas, Texas (January 13, 2019) — The finest-known 1885 Trade dollar, among the rarest and most enigmatic issues in all of American coinage, sold for $3,960,000 million through Heritage Auctions Thursday evening, January 10, following a winning bid cast by collector Dell Loy Hansen of Logan, Utah. “The sale is fortuitous in that it comes at a time when 19th-century Trade dollars were meant to improve commerce with China — a national goal we are still working on nearly 150 years later,” said Greg Rohan, President of Heritage Auctions. 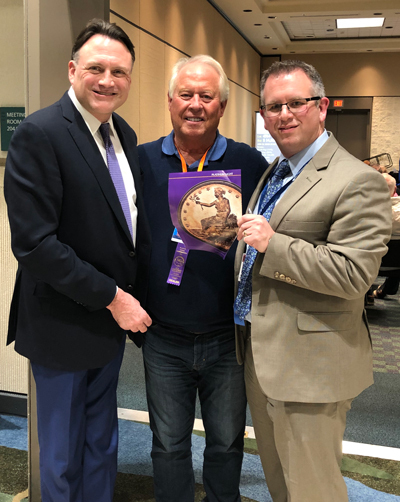 Making Numismatic History: Celebrating the $3.9 million sale of the finest-graded 1885 Trade dollar is (from left to right) Greg Rohan, president of Heritage Auctions, Dell Loy Hansen, the new owner of the finest-known 1885 Trade dollar and John Brush, president of David Lawrence Rare Coins. Graded PR-66 by Numismatic Guaranty Corporation, the example offered by Heritage carries an impressive pedigree, which includes highly respected collectors William Cutler Atwater, Louis Eliasberg. . . and now Dell Loy Hansen.